Is Infant Formula Ever A Good Option In Poor Countries? A woman breastfeeds her child in a village in the Democratic Republic of the Congo. The long-running breast milk vs. formula debate made headlines earlier this week. The New York Times reported that the Trump administration had tried to remove language from a WHO resolution that would, according to reporter Andrew Jacobs, "promote and protect breastfeeding around the world, especially in developing countries" and limit the promotion of infant formula. President Donald Trump tweeted his rationale for the U.S. position: "The failing NY Times Fake News story today about breast feeding must be called out. The U.S. strongly supports breast feeding but we don't believe women should be denied access to formula. Many women need this option because of malnutrition and poverty." Public health professionals have a different perspective: In poor countries, a mother's decision about breastfeeding can be critical for her baby's survival. That's because formula carries special risks for low-income families. The first problem arises because powdered formula requires a dependable source of clean water, which is not available to some 780 million people, according to the World Health Organization. "In countries where women live in poor households with poor sanitation, it becomes a matter of life and death," says Rafael Perez-Escamilla, director of Global Health Concentration at the Yale School of Public Health. "If the water is not clean, formula becomes a death sentence for the infant." Even in the best of circumstances, formula feeding has disadvantages. According to decades of research analyzed and summarized in a 2016 Lancet series on breastfeeding, the harm caused by formula feeding includes increased risk of diarrhea and respiratory infections. In addition, according to the Lancet series, more than 800,000 formula-fed infants who die each year could be saved by breastfeeding mostly by reducing diarrhea, respiratory infections and malnutrition from diluted formula. Breast milk has been proven, over decades of research, to be unarguably the best nutrition for babies with its nearly perfect mix of easily digested vitamins, protein and fat. In addition, new research in the July 2017 JAMA Pediatrics has shown that beneficial bacteria from the mother colonize in the baby's gut, helping the infant establish a healthy microbiome — bacteria in the intestine that help fight disease throughout life. Because the bacteria are unique to mother and baby, the establishment of the microbiome has been called nature's first personalized medicine and cannot be replicated in formula. Harms from formula-feeding fall disproportionately on poor women in poor countries, says Perez-Escamilla, not only because of unsanitary drinking water but also because of poverty. Purchasing formula can use 30 percent or more of an impoverished family's income, he says. "Then, women start diluting the formula to make it last longer," he says. Drinking watered down formula leads to malnourishment, illness and even death. "And then, too, the money spent on formula is not available for other things the baby might need, like health care," he says. No additional research is needed to prove that breast milk is the gold standard of nutrition for infants, says Dr. Adriano Cattaneo, an epidemiologist retired from the Unit for Health Services Research and International Health, Institute for Child Health "Burio Garofolo," in Trieste, Italy. He has grown tired of pointing out and defending the proven benefits of breast milk for mothers and babies. "From a scientific point of view, carrying out research on the benefits of breastfeeding doesn't make sense. Would anybody carry out research on the benefits of breathing, chewing, hearing, passing stool?" says Cattaneo. "The burden of proof should fall on those who propose alternatives to breastfeeding," Cattaneo says in an email interview with NPR. "Formula feeding lags far behind ... breastfeeding in terms of safety and benefits. So we should never talk of the benefits of breastfeeding. We should talk about the harms of formula feeding." Cattaneo argued in 2007 in an editorial in the Journal of Paediatrics and Child Health that research should center on effective methods to encourage and support women in breastfeeding. That was the goal of the resolution at the meeting of the World Health Assembly in Geneva in May. 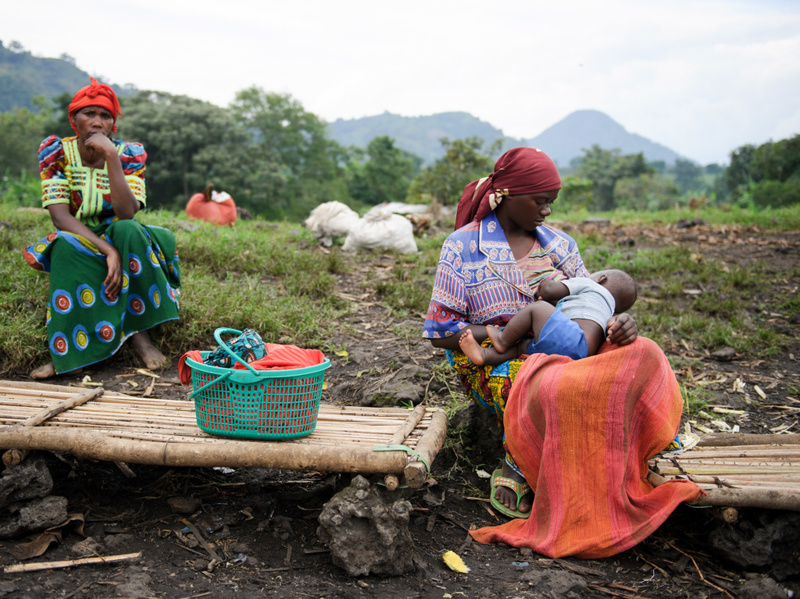 As for the belief that poor women who are themselves malnourished cannot adequately provide breast milk for their babies — that's not true, says Cattaneo. "I'm very aware of the arguments from Trump," says Perez-Escamilla of the president's assertion that many poor women "need access to formula." "Many poor women are undernourished, and that spreads the notion that their milk is low quality and low quantity," he says. "But their milk is still better than formula." Cattaneo agrees. "When the formula industry says that mothers in low-income countries are too sick and malnourished to breastfeed, that is false. Breast milk is of excellent quality even if a mother is sick or malnourished. Quantity is also adequate, except in rare cases of terminal disease or very severe malnutrition." There are few medical conditions and treatments that rule out breastfeeding, says Perez-Escamilla. Today, even women who are infected with HIV can follow the same recommendations for breastfeeding as uninfected women, provided they are on anti-retroviral therapy. "Women receiving some types of chemotherapy, or on some types of antidepressants or who are substance abusers should not breastfeed," he says. "But overall, there are very, very few situations where she cannot breastfeed." Nestle, along with Danone, Mead Johnson Nutrition and Abbott Laboratories, is one of the four leading corporations selling infant formula around the world. In 1977, Nestle's formula practices made headlines when a boycott was announced in the U.S. in response to what breastfeeding advocates termed "aggressive marketing" of formula, especially in poor countries. Then and now, Nestle has defended its practices. In a statement emailed to NPR this week, Nestle said: "Nestlé strongly supports breastfeeding and has not wavered on this position. We have not, nor would we ever, lobby any governments — including the US government — to oppose breastfeeding policies anywhere in the world." A study on industry practices by Save the Children finds that the top six formula manufacturers sometimes use marketing practices at odds with the code of marketing practices for infant formula drawn up by the World Health Assembly, the decision-making body of WHO. The International Code of Marketing of Breast Milk Substitutes includes a call for no promotion of breast milk substitutes to the public, no gifts to mothers or health workers, no free samples to pregnant women or mothers and no sponsorship of meetings of health professionals. The report found cases of companies paying doctors to recommend their milk formulas and offering coupons, contests, gifts and other incentives to mothers to buy formula. The results are in line with earlier findings of ARCH, Assessment and Research on Child Health, an organization that investigates how foods for children are promoted. ARCH's 2016 study of Tanzania, Cambodia, Nepal and Senegal found similar promotional activities by formula companies. "At the end of the day, it is the woman's decision to decide how she wants to feed her baby," says Perez-Escamilla. "It should be a truly informed choice on a level playing field. But that is impossible in low-income countries in an environment that is pushing them to formula feed."